Growing cabbage plants on your property will provide you with a great source of food. However, there is one important detail to know about this plant. If you are not careful with your crop, then you may be at the mercy of cabbage worms. 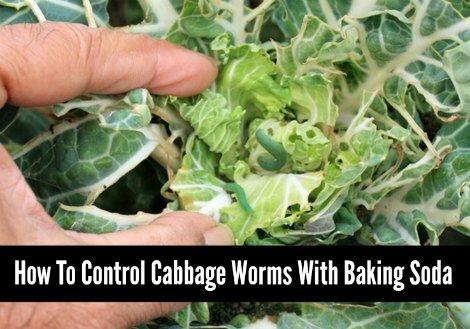 The good new is you can control cabbage worms with baking soda. Keeping your plants healthy can be hard work and having to deal with cabbage worms is no fun at all. A good way to think about the work that will be needed to control cabbage worms with baking soda is crop dusting. This is exactly how you are going to help your cabbage plants. You can apply a baking soda application as often as needed to get rid of cabbage worms.